This year Campamento Henson was held in San Antonio de las Alazanas, Nuevo Leon, Mexico. We had 109 people attend camp this summer. This is the largest number of campers we have had since our family has been attending. It is exciting to see the group grow year after year. The camp we used this year is at an elevation of 7000 feet. It was great to know that we were in the middle of summer and still had to wear a light jacket most of the week. 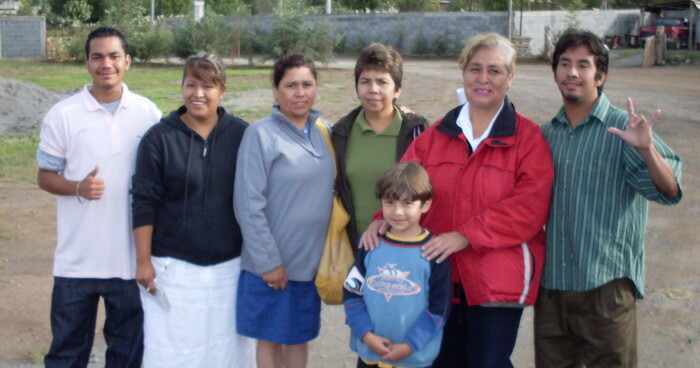 On Tuesday the pastor from Ciudad Juárez, Roberto Palma, was able to lead one lady to the Lord. She came from Mexico City. Wednesday night we had 5 others who accepted the Lord as their Savior! Then Thursday night another lady came forward in the invitation to accept the Lord. It was a wonderful week. Two of the ladies who were saved on Wednesday night were in the class that I was teaching. I taught a class of “low verbal” Deaf. These are Deaf who don’t know sign language very well and have trouble either communicating or understanding in the regular service. We had 7 in the class and these were the only 2 who we did not know whether they were saved or not. They both came with the group from Guanajuato. It was a blessing to be able to lead them to the Lord. The week ended this morning with each of the groups traveling back home. We had people from Guanajuato, Monterrey, Mexico City, Guadalajara, Tampico, Ciudad Juárez, Colima, Veracuz and our family from Mérida.